Have you ever wanted to have an hour at AFP just to get the answer to anything that is on your mind? What to do with your Board? How to get that appointment? How do I know what to ask a donor for? We want to start a campaign, how to do that? I want to grow my career. What should I do? The January lunch meeting will give you just that chance. Have one hour of free personal or professional questions answered by veteran organizational and fundraising leader, June Bradham, CFRE. If you would like to submit your questions ahead of time, email june@changedevelopmove.com (formerly Corporate DevelopMint). Off the top of your head questions answered on the spot, too. 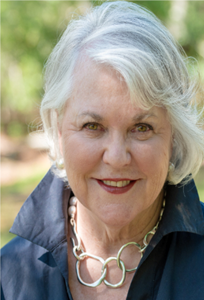 June Bradham is a widely recognized business leader and fundraising expert. Under her guidance and with her hands-on approach, she and her team at Corporate DevelopMint (CDM) have led more than 200 successful fundraising campaigns ranging from $3 million to more than $100 Million. Since founding CDM in 1987, June has served as the organization’s visionary, rainmaker, staff leader, and workhorse. She’s supervised more than a dozen senior-level consultants at a time, and also driven CDM’s program of original research. senior-level consultants at a time, and also driven CDM’s program of original research. CDM research includes a groundbreaking study of what drives fundraising success designed by an interdisciplinary team of PhD’s, and a study of best practices in free healthcare clinics that was funded by the Duke Endowment June has also spearheaded product development for CDM, creating dozens of customized training programs for nonprofits. Her hands-on work with more than 250 boards has resulted in a unique format for solicitation training, as well as a unique process for aligning nonprofit staff and leadership with the communities they serve. As a consultant to one of the world’s largest consulting companies, June has also developed and implemented training programs for fundraising consultants from more than 17 countries. She currently also serves as the Strategic Consultant for Blackbaud’s Healthcare Solutions Division. In addition, June has personally served on more than 25 nonprofit boards, including service on the executive committees of most of those boards. A sampling includes the Darla Moore School of Business; the Citadel School of Business; the SC Chamber of Commerce; the Governor’s School for Science & Math; the Community Foundation of Coastal SC; the Spoleto Festival; CreateAthon, AFP International; The Giving Institute and Porter-Gaud School. June’s articles appear in trade journals such as Advancing Philanthropy, Association for Healthcare Philanthropy, and Journal for the Advancement of Secondary Education. Her book, What Nonprofit Boards Want, was published in 2009 by John Wiley & Sons. She served on the Editorial Review Board of Giving USA 2018 and Lead Reviewer of the Health Chapter.